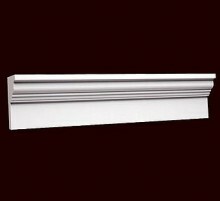 Exterior Mouldings with crisp lines and a smooth primed finish. 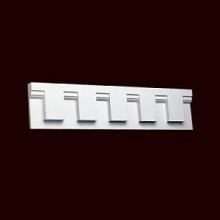 Elite Trimworks offers a complete line of polyurethane cornice mouldings and frieze board combinations. The dental strips can be added to the frieze boards for those who desire this detail. 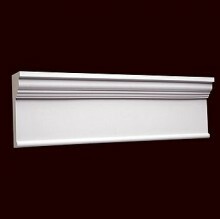 These Cornices can be custom cut to be used as door and window crossheads. Keystones can be added as well. These Profiles are a fantastic compliment to any exterior project and like all our products require minimal maintenance and are impervious to moisture. If you know how to cut, or nail wood moulding, you'll know how to cut, nail, and finish exterior polyurethane mouldings using standard carpentry tools.